I’m so much in love with the books I’m reading that I also fall in love with highlight pens and stick-on tags. Highlighting the inspiring sentences of the books is like reinforcement message to myself about the wisedom about life and what is really right. Tags are reminders to lead me back to what I believe in. 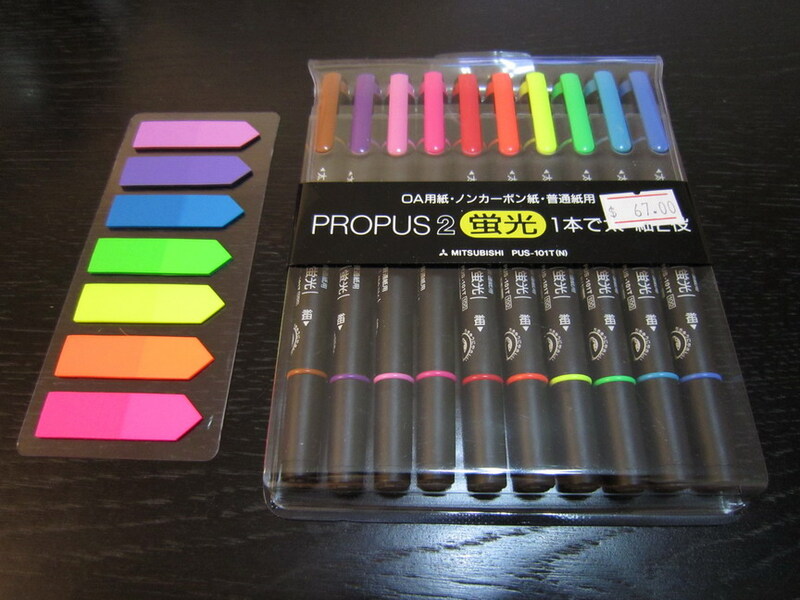 There are 10 colors for highlight pens and 7 for tags, and I decided to buy these sets as I’m attracted to the rare pink and purple items. This entry was posted in books, Simply Happy and tagged Too much in love with being inspired!. Bookmark the permalink.